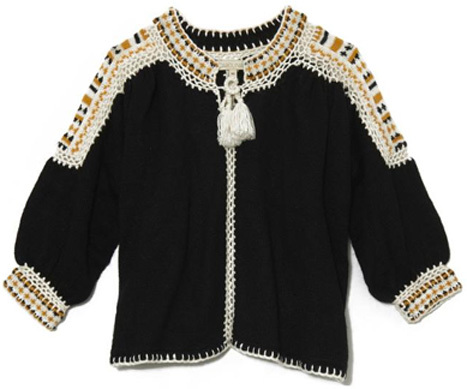 This bohemian-chic cardigan is winter's best (and coziest) answer to all my summery embroidered tunics. Great piece for summer as well! I think the sleeves are slightly longer than 3/4--hitting just above the wrists. Such a beautiful sweater! Do you know about sizing for carolina k?